Tadpole Collective’s founding members met at the WordPress NYC MeetUp group, so we owe our very existence to WordPress! We recognize the value not only of open-source software, but of the communities that form around it, and we try to give back in a number of ways. Tadpole members regularly help organize both local and national WordCamps and WordPress Meet-Ups around the world (kudos to Tadpole founding member Rindy Portfolio for helping run the WordPress Meet-Ups in Kuala Lumpur!). In addition, Kevin Cristiano volunteers his time to help the Community Team handle a number of items: GPL, trademark issues, budgets, global sponsorships, grants to WordCamps, etc. Beyond organizing, Tadpole members often attend, volunteer, and speak at WordCamps and Meet-Ups. 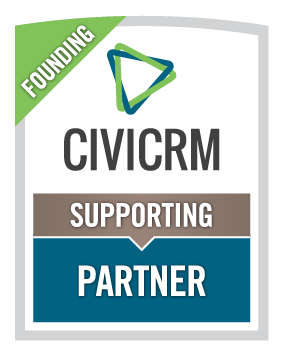 We are a Founding Supporting Partner and Empowering Contributor to CiviCRM, which means our members devote over 120 person-hours per year improving and testing the software. Tadpole works with CiviCRM core team members, as well as other CiviCRM contributors, on enhancements, bug fixes, and upgrades to CiviCRM. In New York City, Tadpole’s Dana Skallman heads up the monthly CiviDay activities, providing a forum for local CiviCRM users to come together for educational presentations and collaborative work sessions.